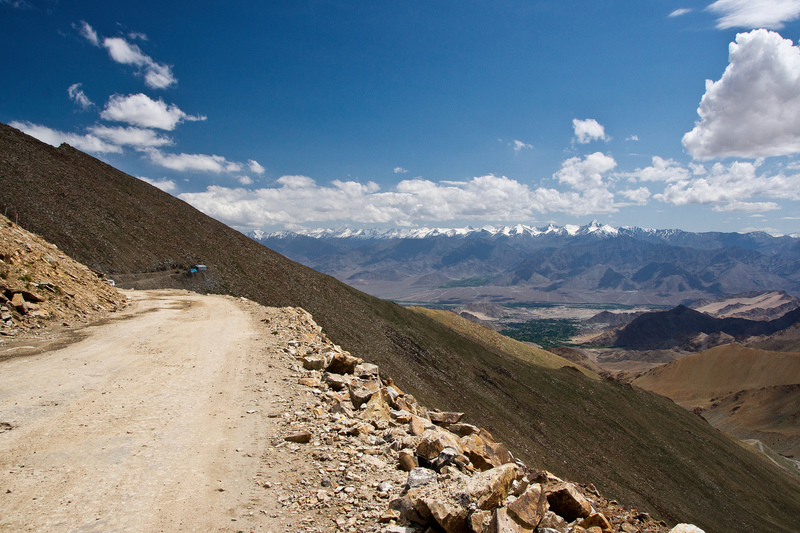 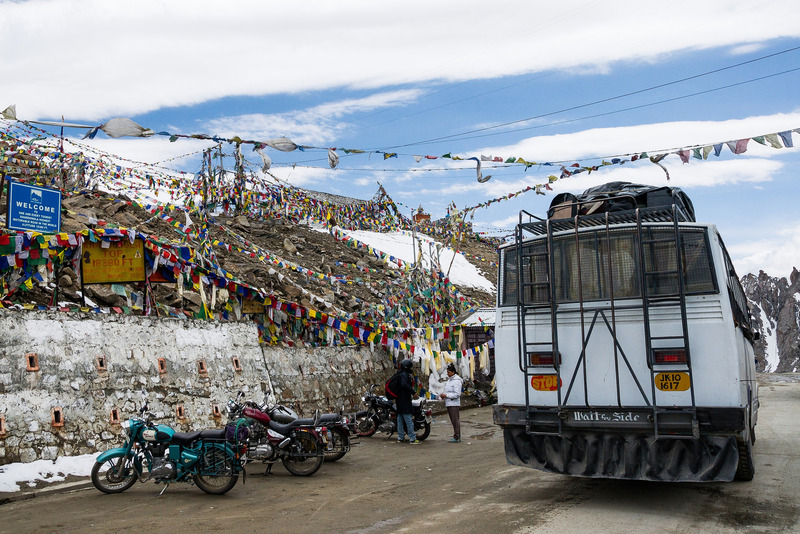 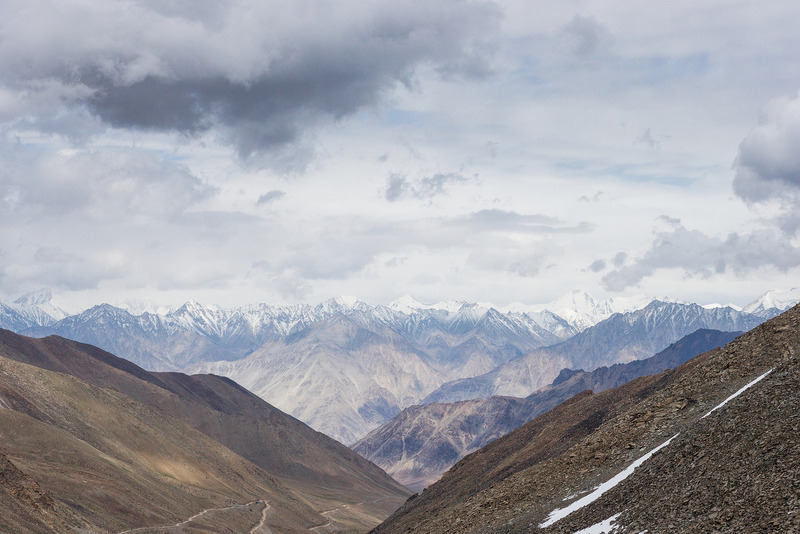 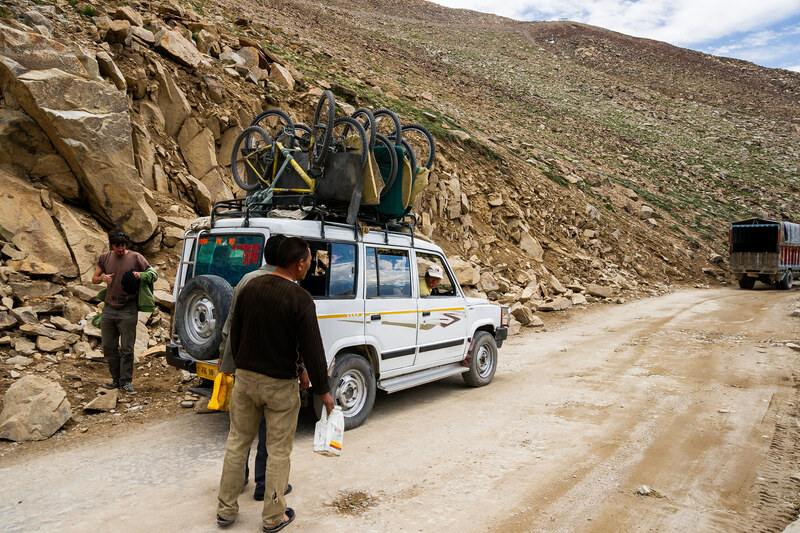 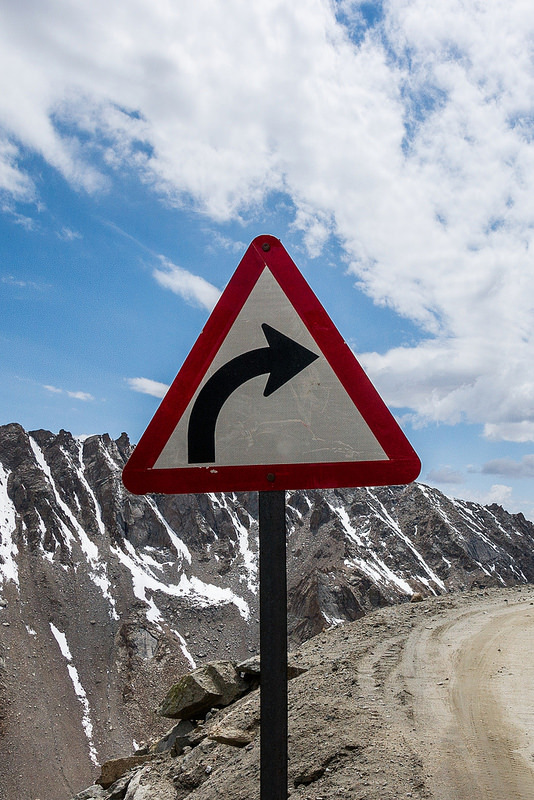 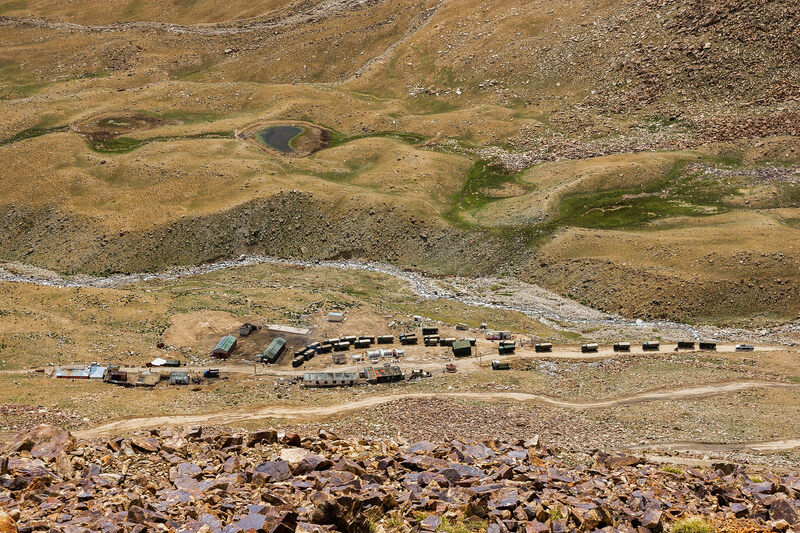 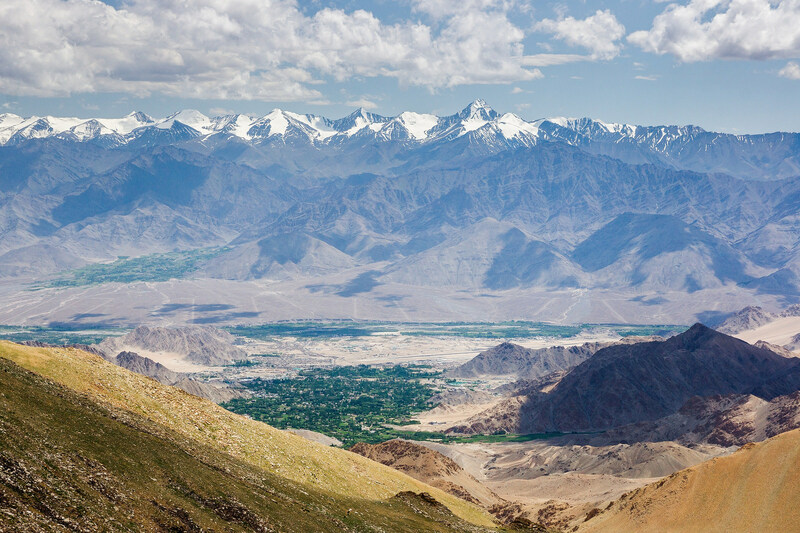 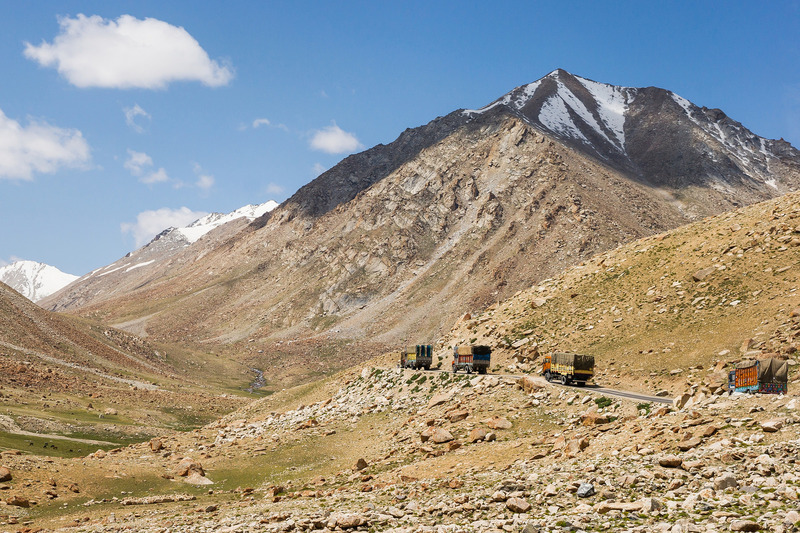 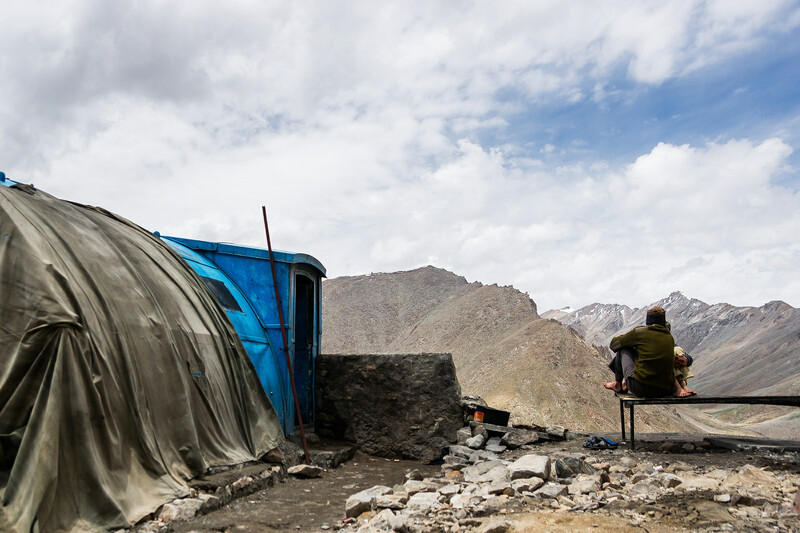 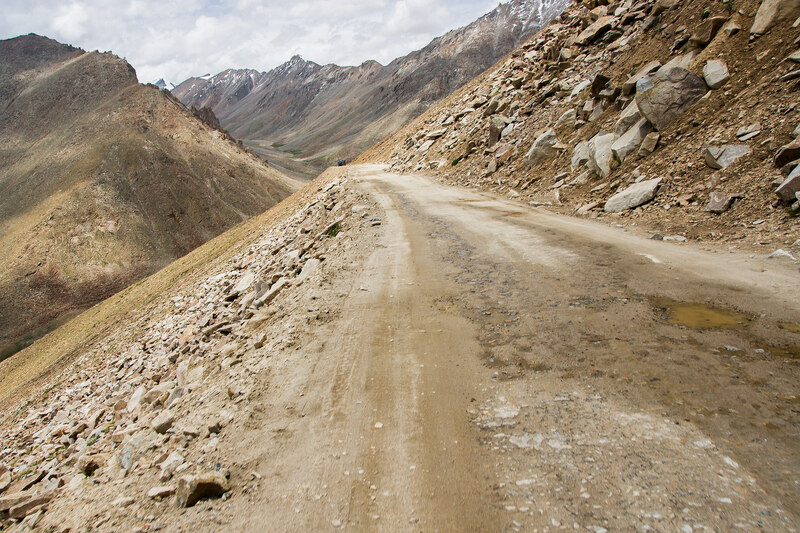 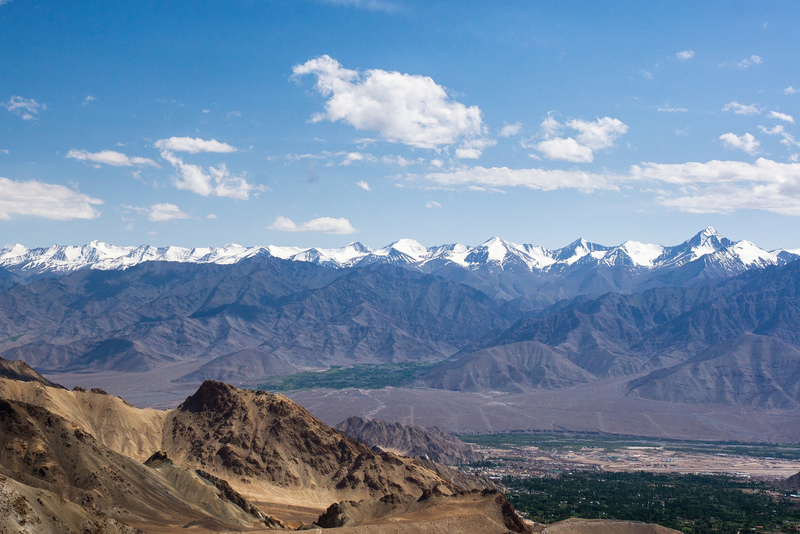 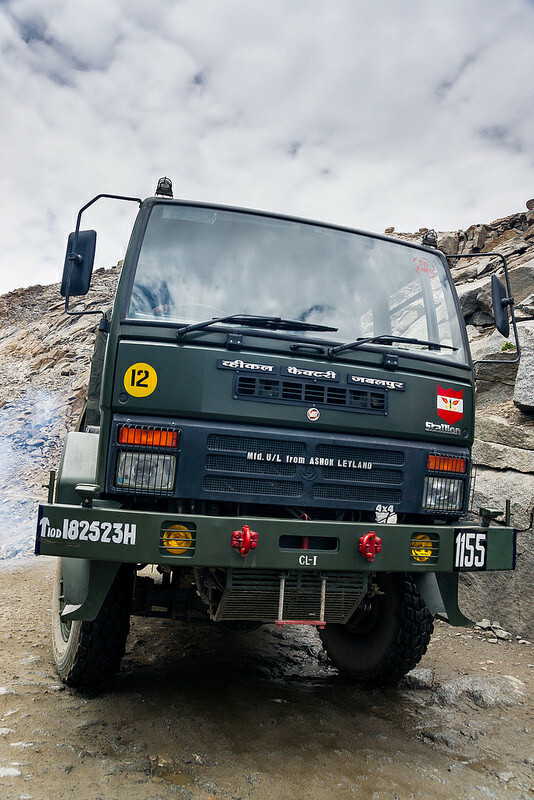 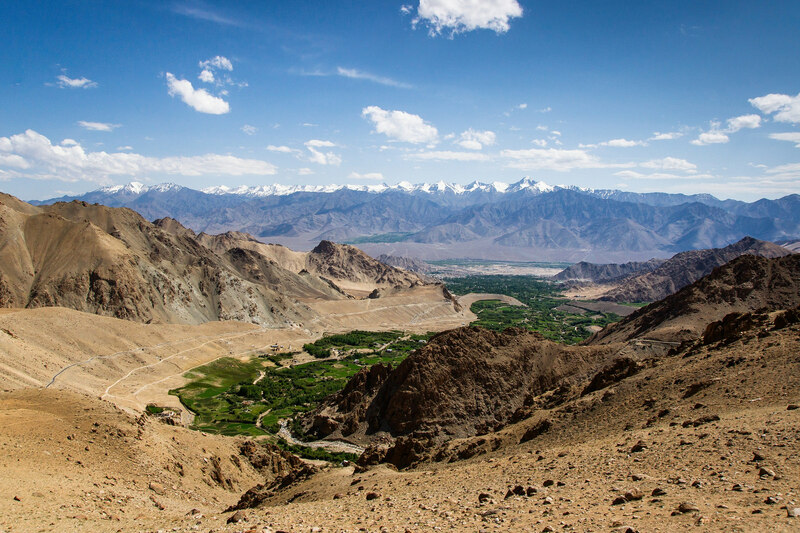 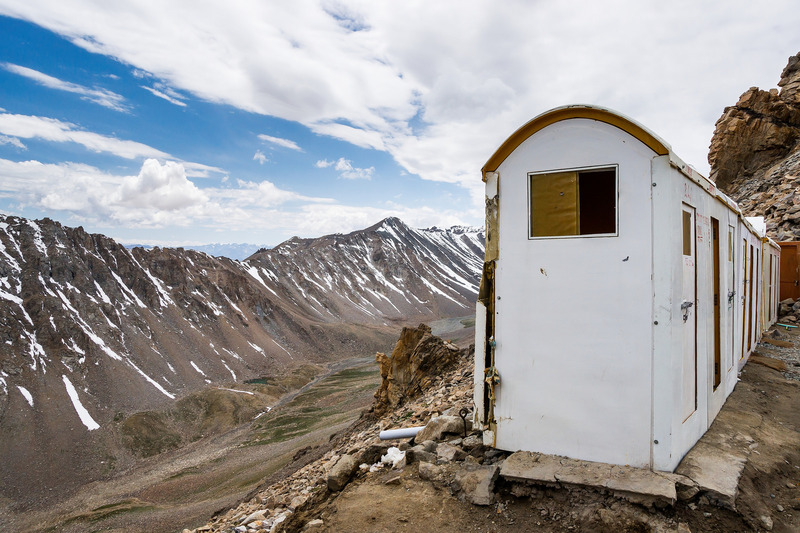 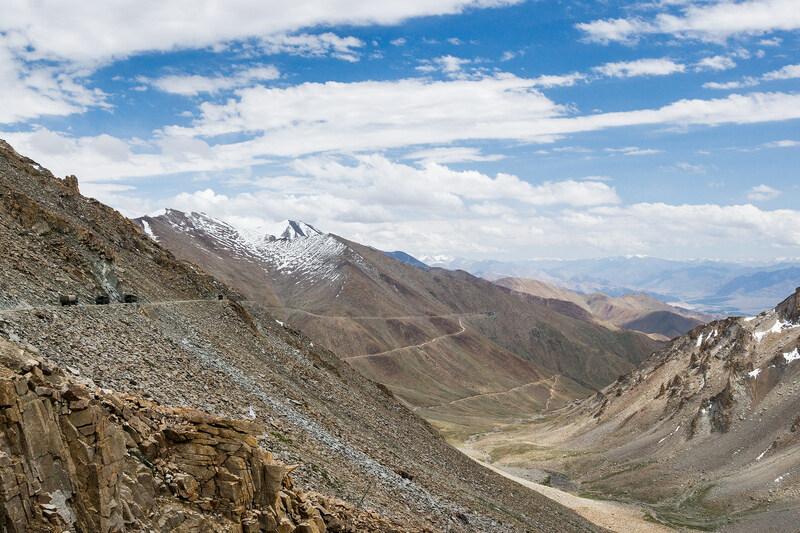 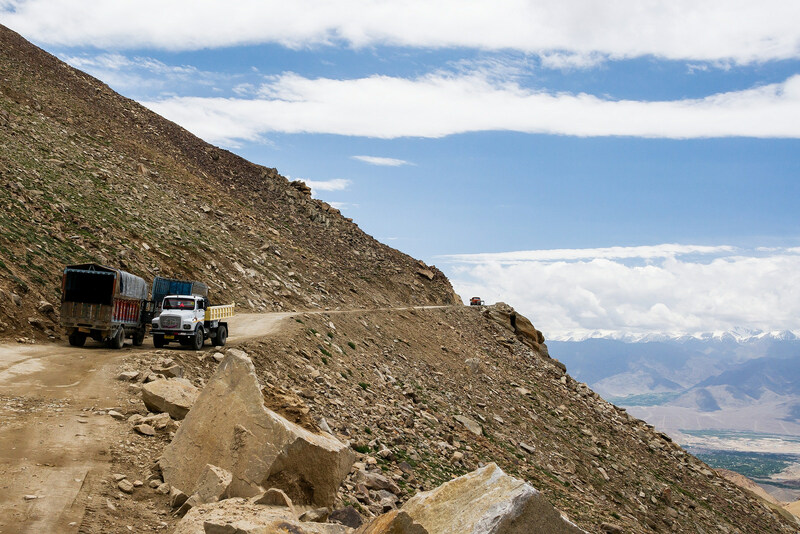 Khardung La pass is situated ~39 km from Leh. 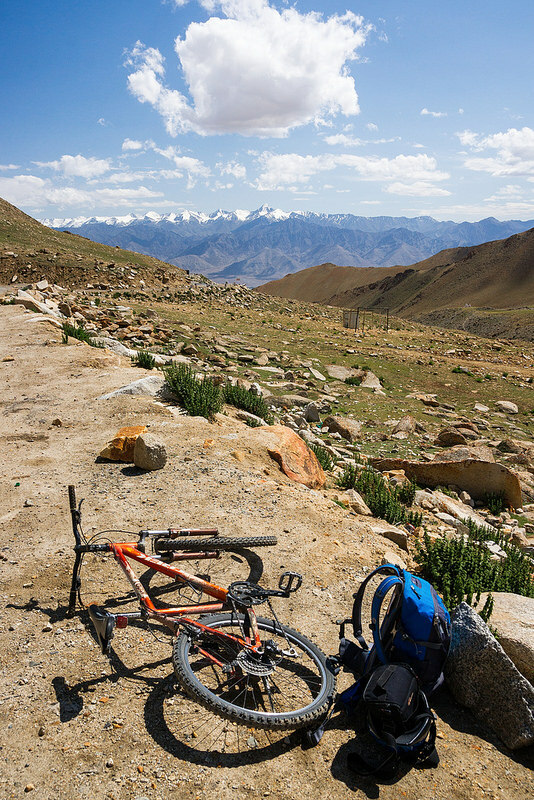 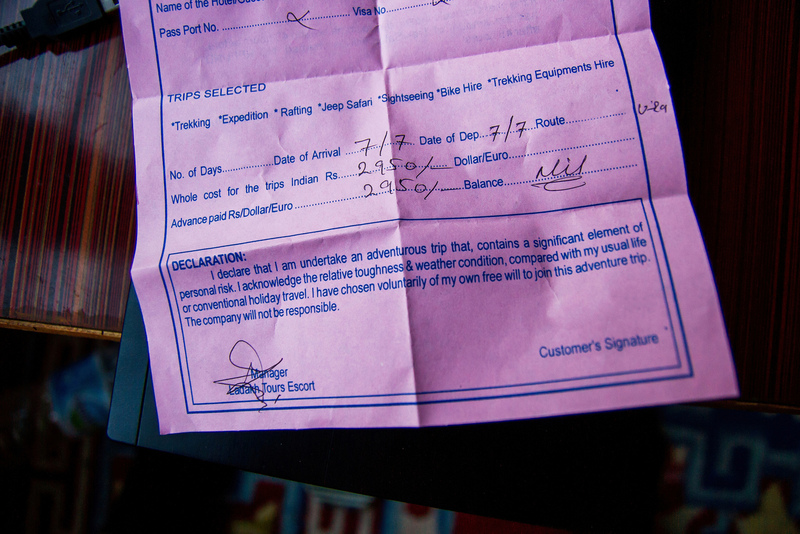 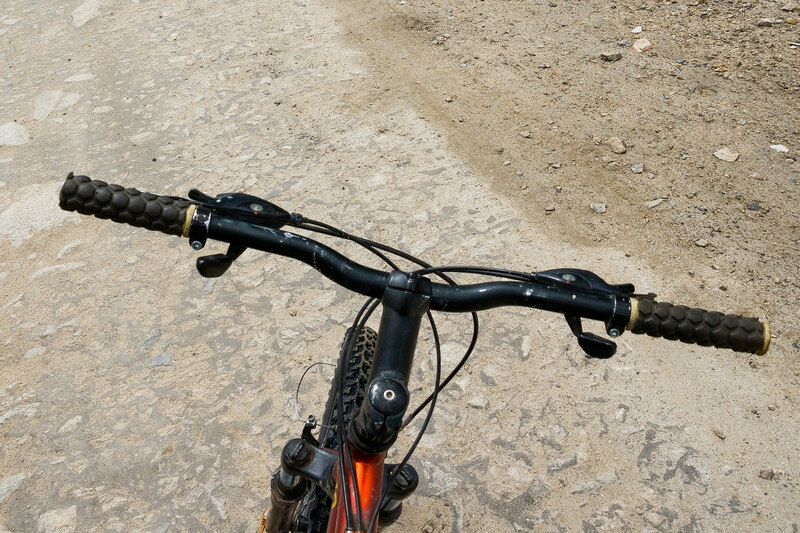 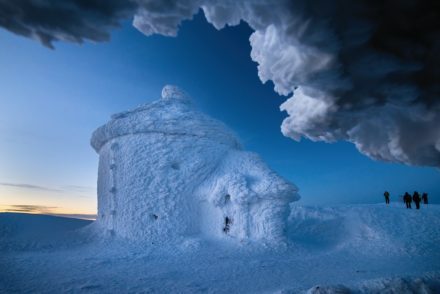 I got to the top by car, with the bicycle on its roof – it was exciting. 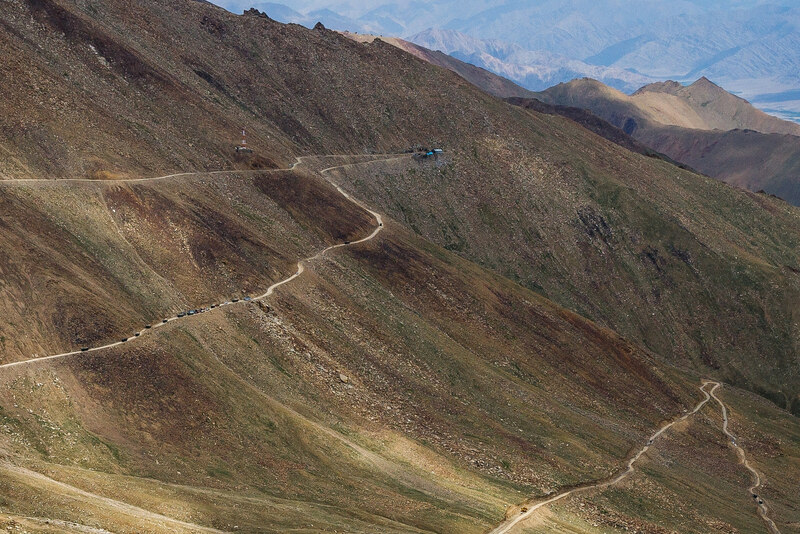 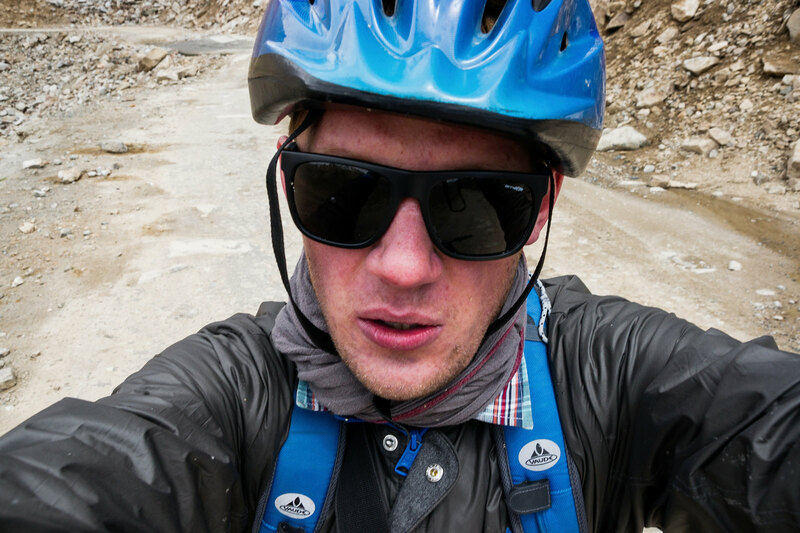 But the real fun began on the way down – nearly 40 km long, from the altitude of 5359 meters to approx 3500 meters! 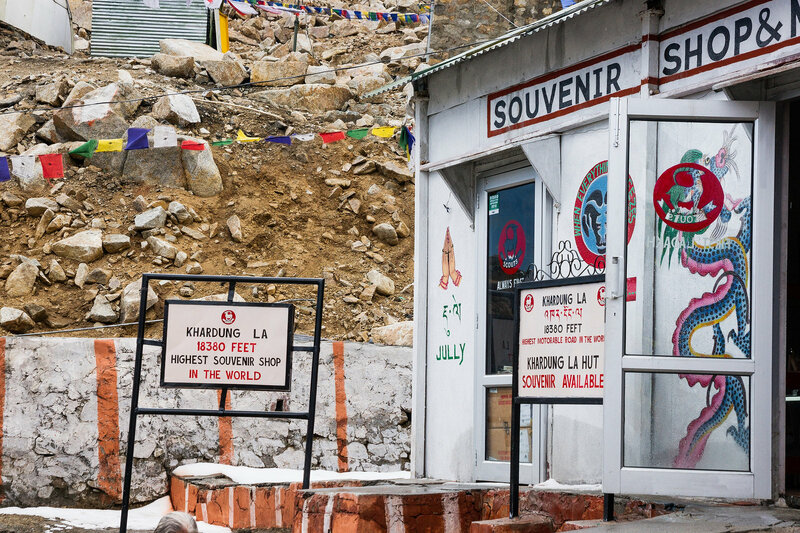 Local summit signs incorrectly claim that its elevation is 5602 meters (18,379 ft) and that it is the world’s highest motorable pass. 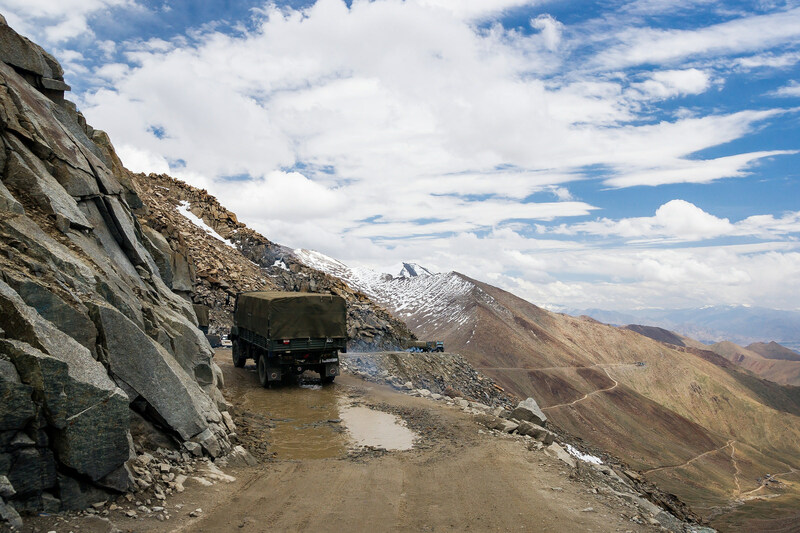 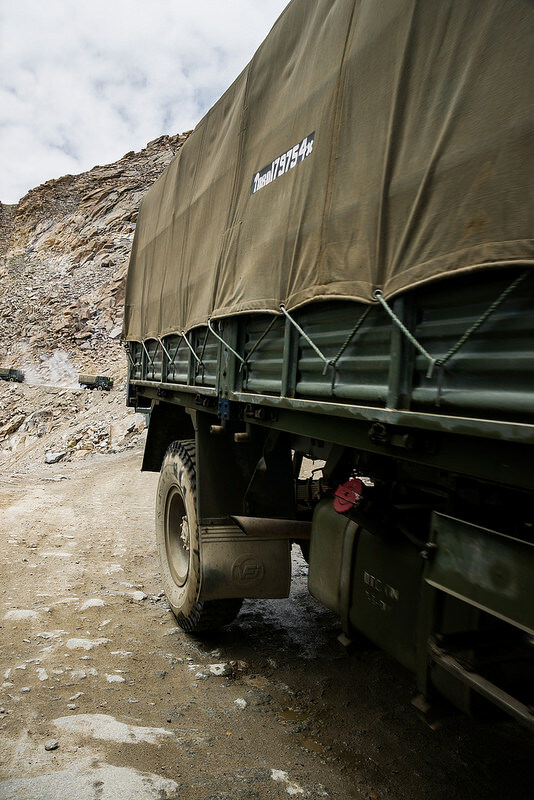 Due to the proximity of the Pakistani and Chinese borders, army truck convoys are a regular hazard. 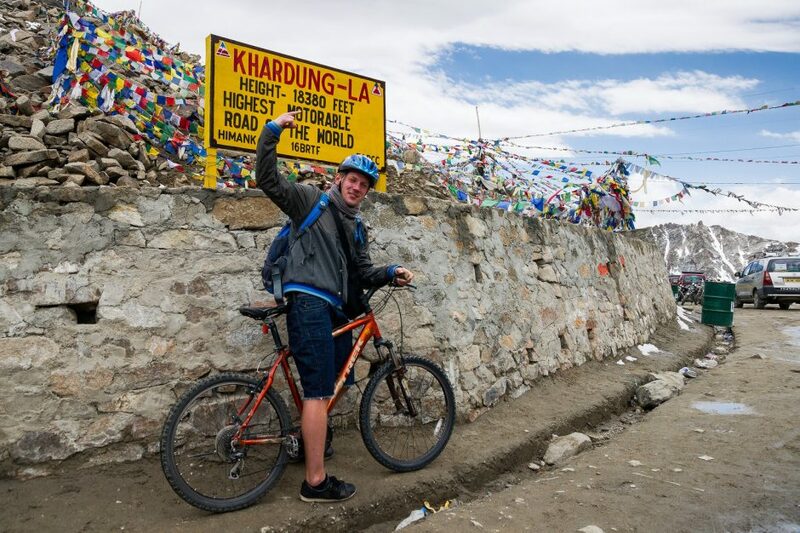 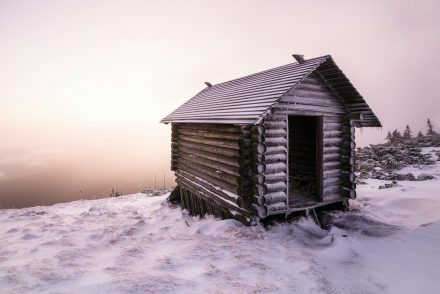 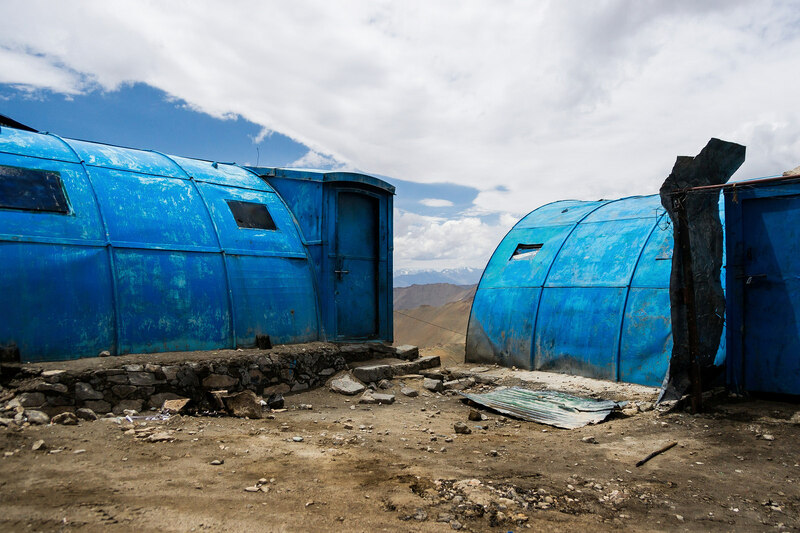 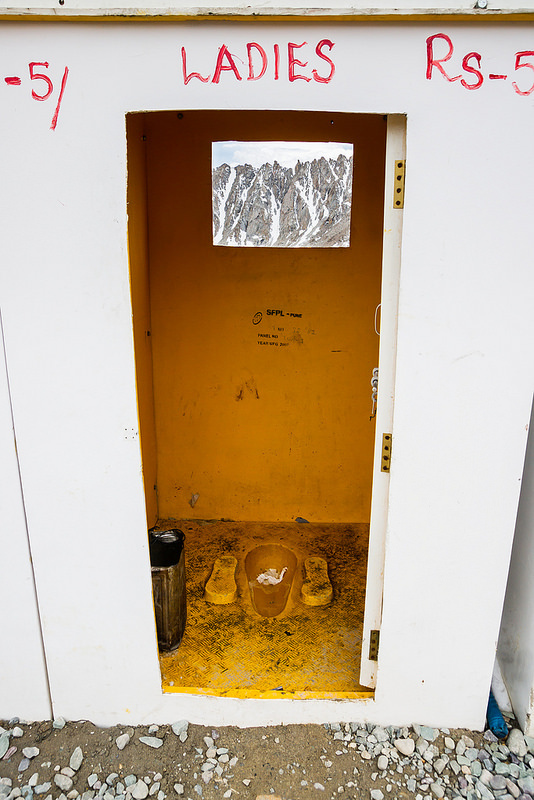 The altitude sickness is a serious health concern up there as well. 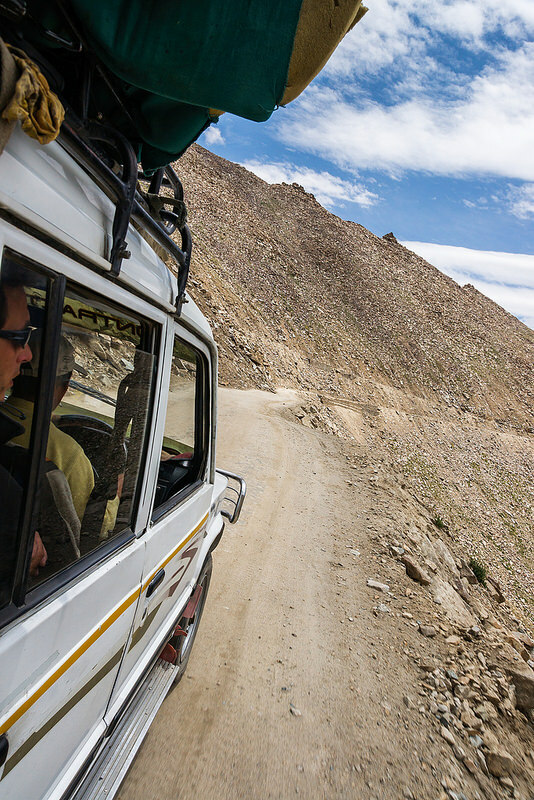 Very often there were literally centimeters between our car, army truck and the few hundred meters drop on the other side!